SAFA applauds Senong for Amajita success - SABC News - Breaking news, special reports, world, business, sport coverage of all South African current events. Africa's news leader. Thabo Senong guided the national under-20 team to the Africa Cup of Nations semi-final in Niger where they will meet Senegal on Wednesday. 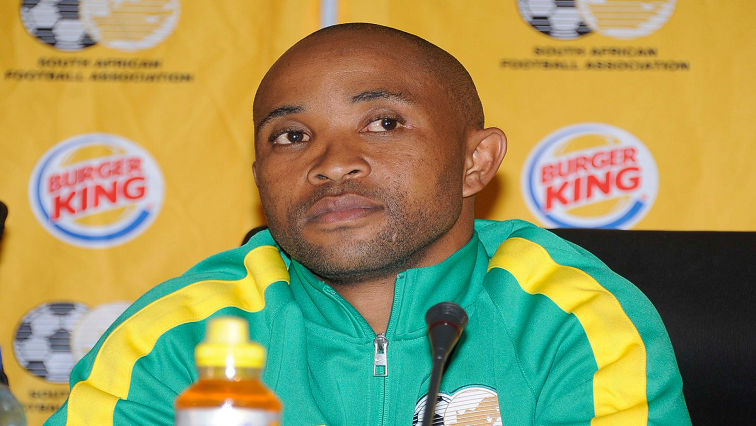 The success of Thabo Senong as Amajita coach has been applauded by the South African Football Association (SAFA). Senong was excused from the recent Bafana Bafana camp as Stuart Baxter and SAFA allowed him to focus solely on the junior team. Senong guided the national under-20 team to the Africa Cup of Nations semi-final in Niger where they will meet Senegal on Wednesday evening and, in doing so, qualified his team for a second successive FIFA under-20 World Cup. A goal from Luke le Roux secured Amajita a 1-0 win over Burundi to book them a place in the semi-finals of the Under-20 Africa Cup of Nations in Niger and subsequently a spot at the 2019 Fifa Under-20 World Cup. Amajita hope to qualify for the final for the very first time. Kaizer Chiefs defender Reeve Frosler who was part of the 2017 Amajita World Cup squad, says Senong’s leadership qualities rub off on the players. The 36-year-old coach learned about the principles of leadership, coaching and team dynamics from the very best in South Africa, having been an assistant to Shakes Mashaba and Stuart Baxter. He is now settling into his own style of coaching, while the players under him flourish. SAFA’s technical director, Neil Tovey, says the experience that the players will gain under Senong, will stand South African football in good stead. Nigeria and Mali clash in the other semi-final at the under-20 Africa Cup of Nations in Niger. This entry was posted on 12 Feb 2019,05:26PM at 5:26 PM and is filed under Sport. You can follow any responses to this entry through the RSS 2.0 feed. Both comments and pings are currently closed.